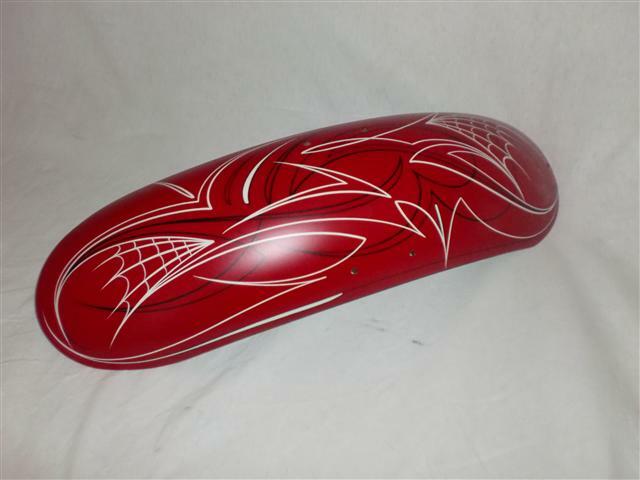 This old school set has flat clear coat so you get the uv protection while having that look of a different era. 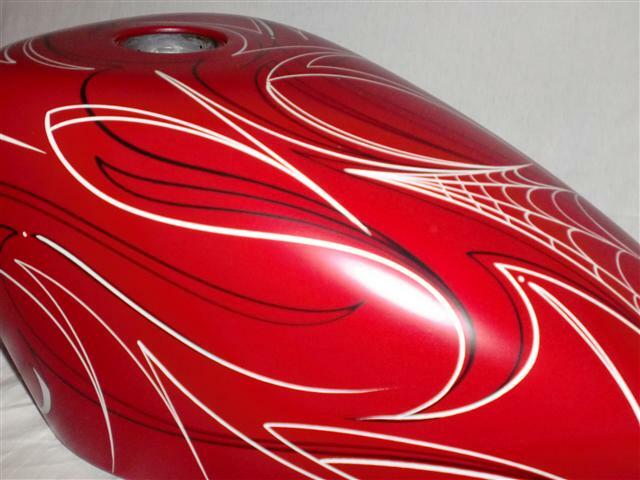 Black and Bone colored pin striing with various spider webs through out the set. 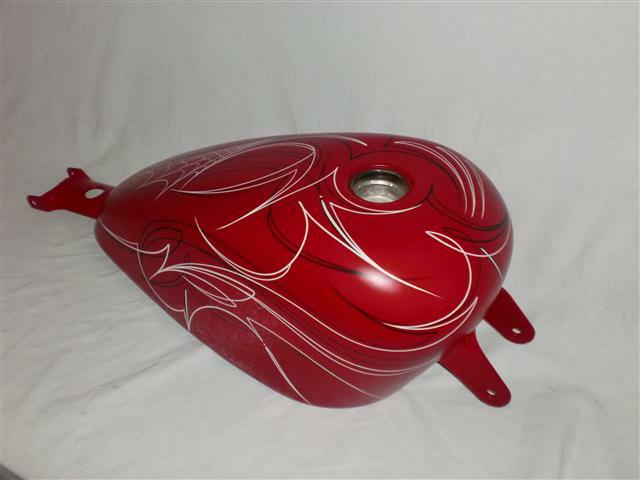 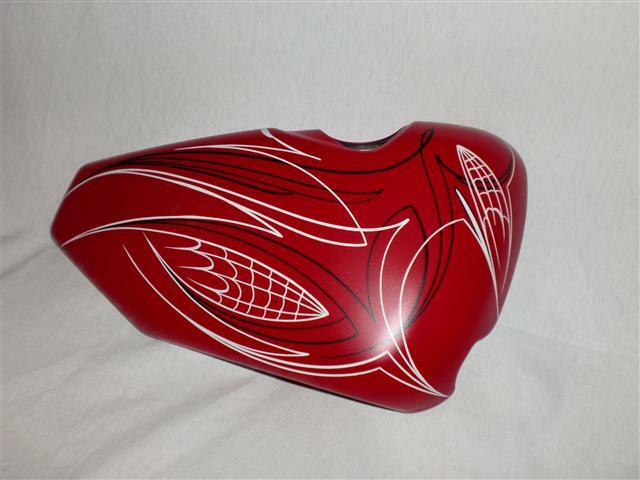 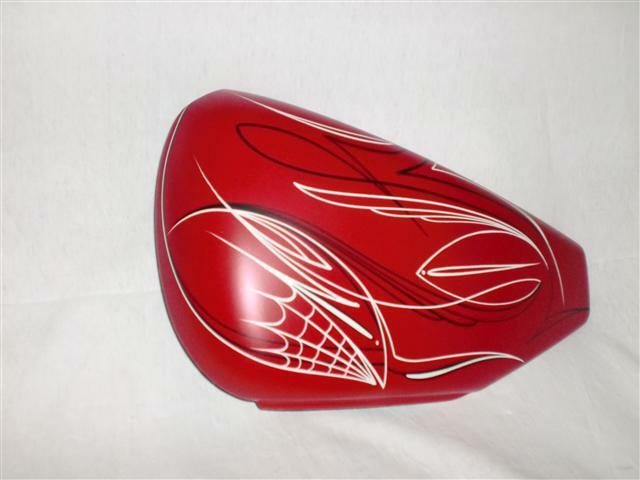 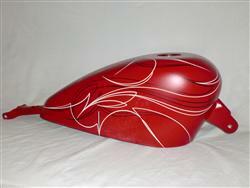 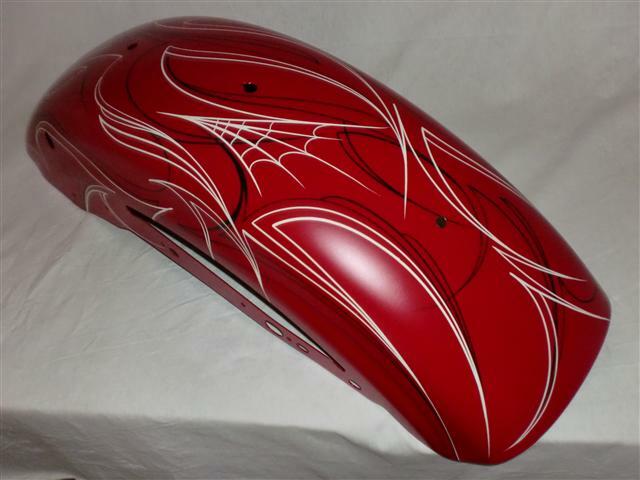 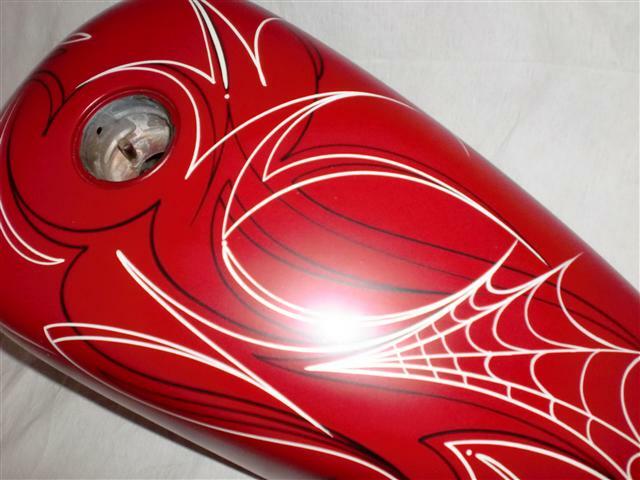 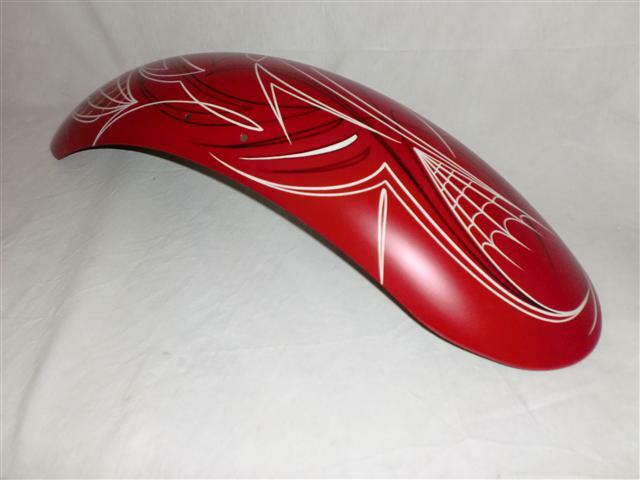 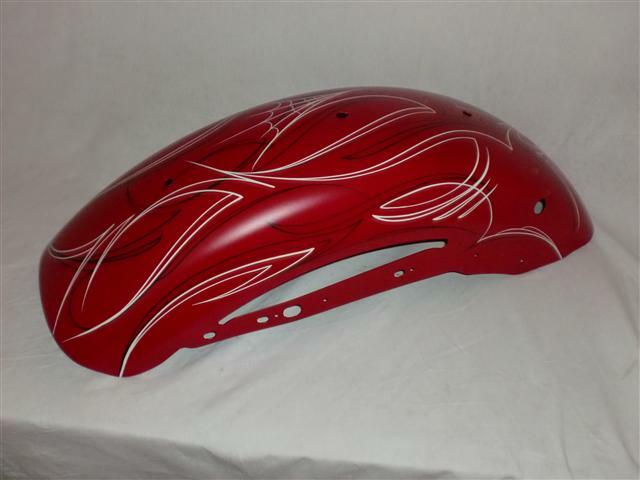 All this pinstriping is laid over Blue Blood base coat from House of Kolor.